The weather was very cold outside the Michigan Theater on December 15, 2016, but inside the atmosphere was warmed up by the splendor and drama of the United States premiere of the PBS Masterpiece Theatre presentation of Victoria. This dramatization of the early years of the reign of Queen Victoria of England drew a large crowd that was entertained before the show in the Grand Foyer by wandering carolers dressed in 19th century clothing. 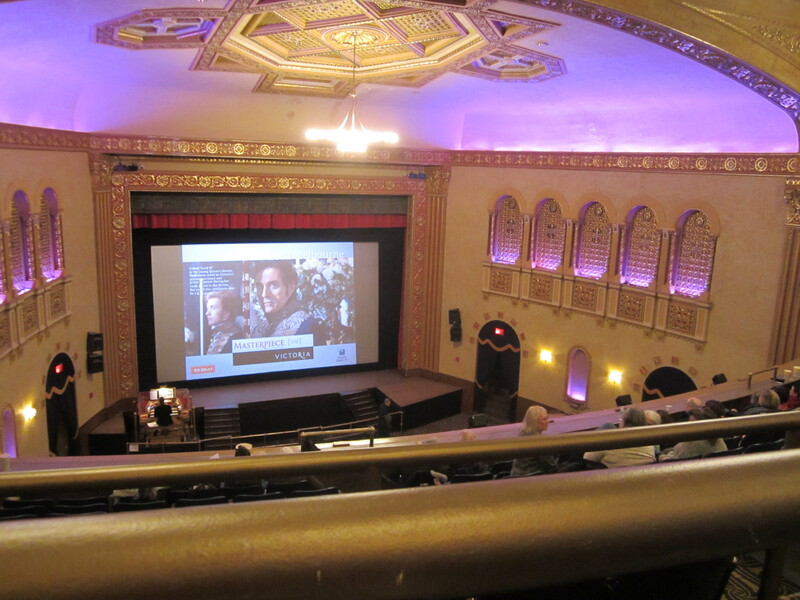 Inside the main auditorium, a slide show gave seated patrons background information on many of the characters who would soon come to life on the Michigan screen. Organist Stephen Warner entertained everyone with a mixture of classical and Christmas songs. After an introduction by Michigan Theater Executive Director/CEO Russ Collins and Detroit Public Television President/CEO Rich Homberg, the audience was transported to 1837 England. They watched a teenager suddenly transformed into the Queen of England. Jenna Coleman played the lead role in a typically sumptuous PBS production that will debut on United States public television on January 15, 2017. The ornate decor of the Michigan Theater splendidly framed the elegant details of Victoria. When that night’s audience continues watching Victoria on their home screens, they’ll probably fondly remember the intimate details of this big screen presentation—particularly the facial closeups of Queen Victoria and her adviser Lord Melbourne (played by Rufus Sewell). The festive feeling of this special event merged comfortably with the spirit of the Christmas season. 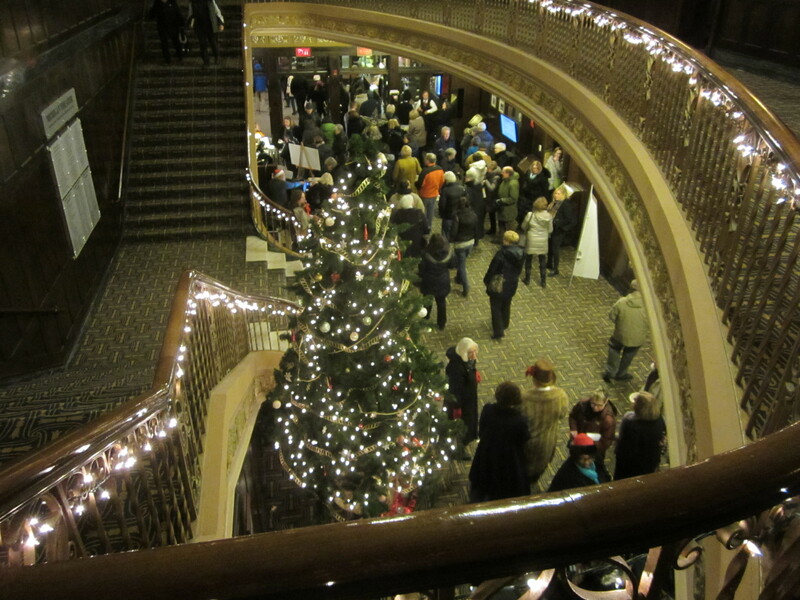 The Michigan Theater’s magnificent Christmas tree towered over the Grand Foyer gatherers. Before the screening, Russ Collins noted that Queen Victoria helped popularize the Christmas tree. Another annual Christmas tradition of the Michigan is the Holiday Classic Film Series, which concludes on Sunday, December 18 with the annual showing of the heartwarming It’s a Wonderful Life. The Michigan’s holiday programming also includes severally critically acclaimed movies like La La Land, Jackie, and Manchester by the Sea. Copyright © 2016 by Robert Hollberg Smith, Jr. This entry was posted in Christmas, Michigan Theater. Bookmark the permalink.